Please exit the boat the same way you entered...pushing and shoving. 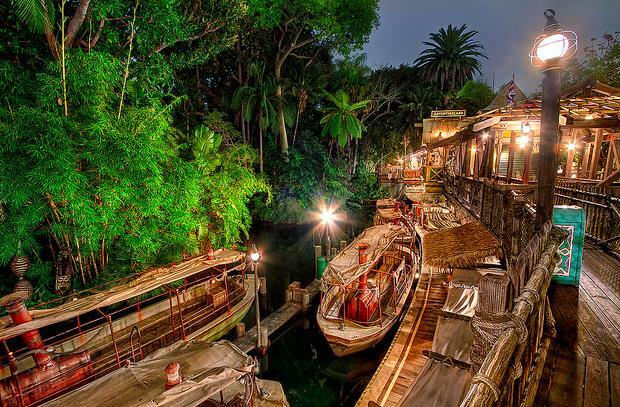 Did you know that the Disneyworld Jungle Cruise has this crazy awesome cave you go through? It is totally winning over Disneyland. 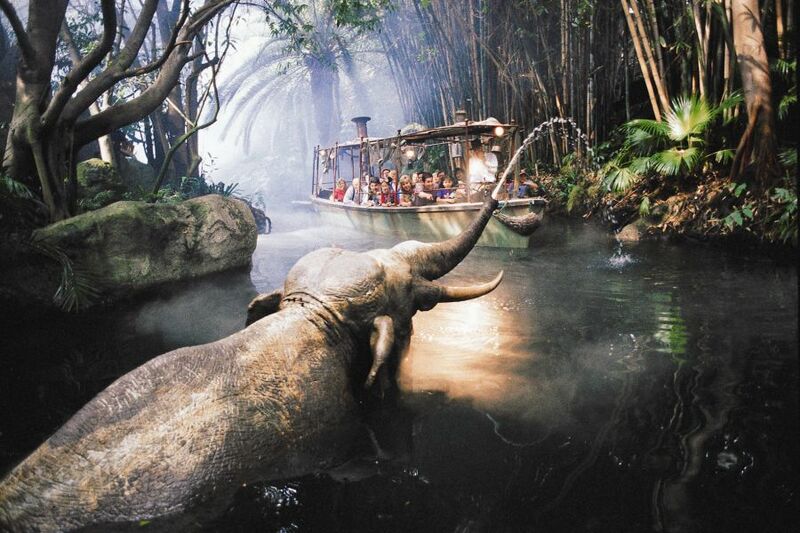 I love the Jungle Cruise ride, and I feel it is underappreciated next to the more popular Disney cousins, Pirates and Indiana Jones. You can imagine how excited I was to discover that my soon-to-be born nephew's nursery is jungle themed! Brilliant. 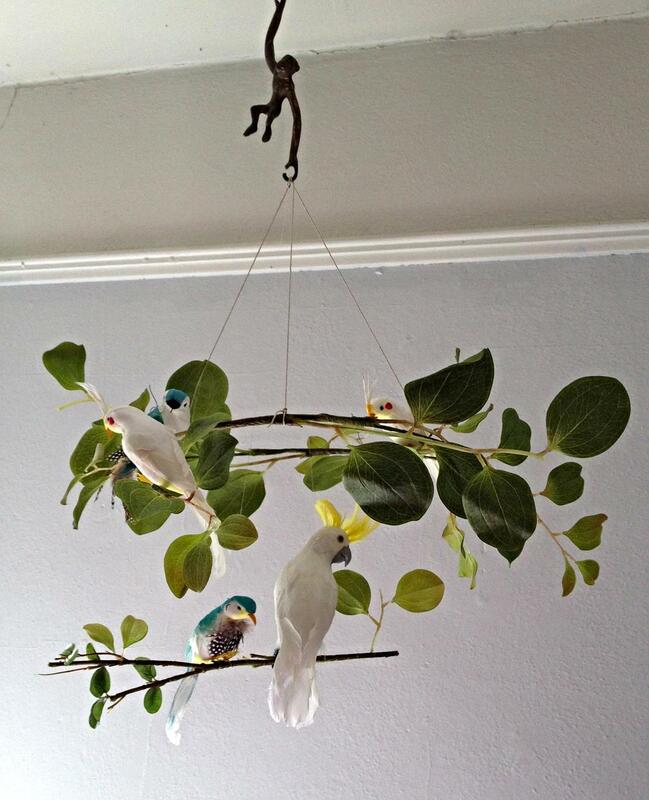 Time for a jungle mobile! I was a little worried it would be Star Wars, and there ain't anything I can do with Star Wars. Because this is all about me. 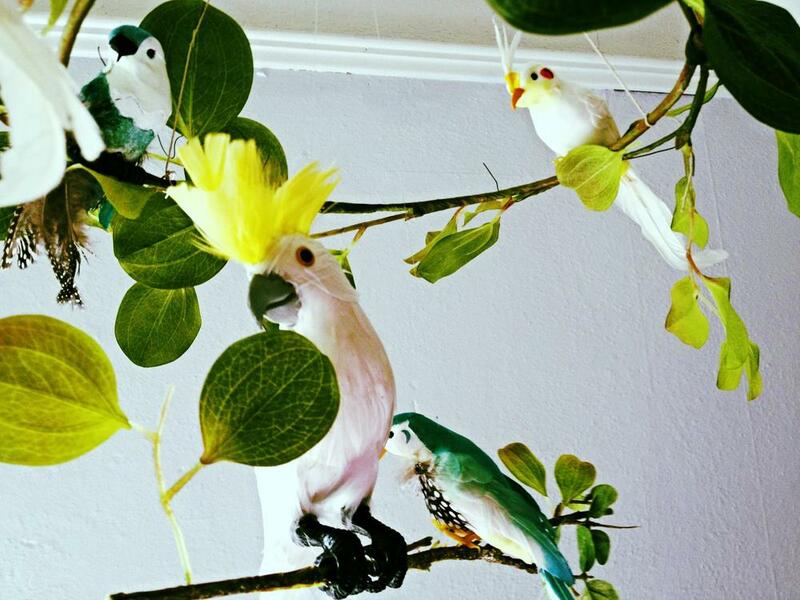 Se here are the pictures -- there is a Sulphur-crested Cockatoo! And some hand-painted Macaw type birds that I kind of invented! 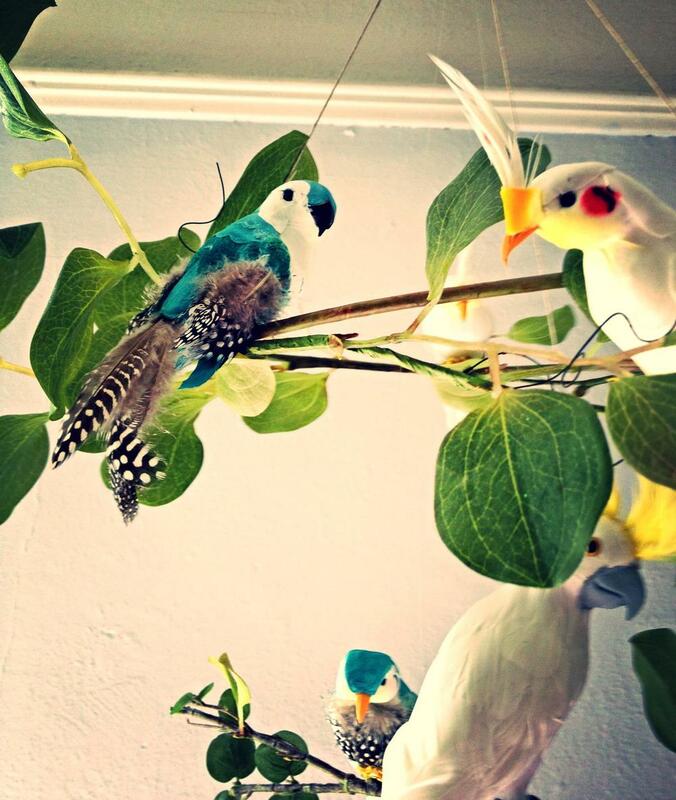 Baby Cockatiels! Jungley vines! And all held together by one vintage cheeky monkey. And by cheeky, I mean cheeky, because when I dropped him on my foot, he was really f$&%ing smug about it. 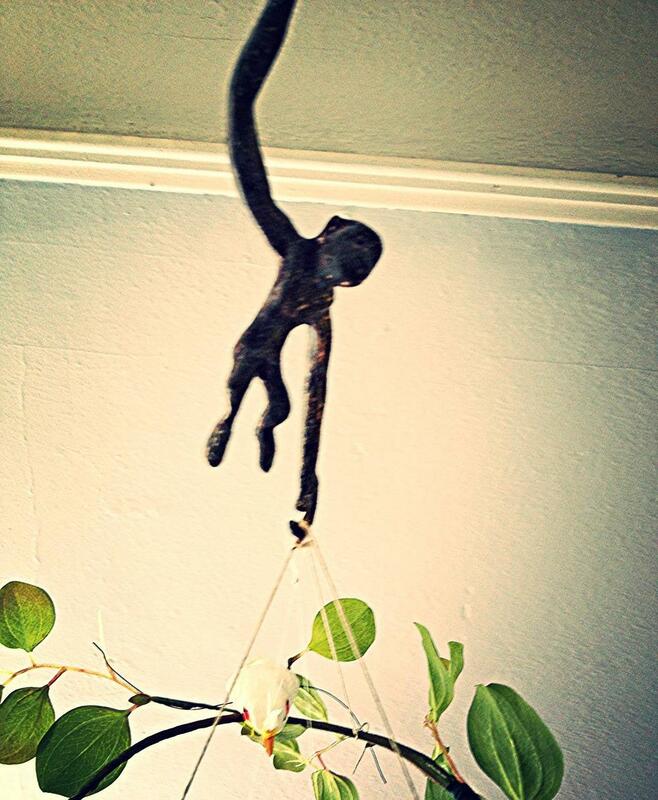 Just for that, I had him hold everything up, instead of lazily swinging from a vine like I had originally planned. (That, and he was kinda heavy, and I already didn't trust him at this point.) Enjoy, and congrats to my big brother and his lovely wife! This jerk again. He sure is adorable though. Visit my Etsy shop here to see my available mobiles, or to order a custom-made mobile. I feel like narwhals may be my spirit animal. They combine my two favorite things in the entire world, unicorns and the ocean, and if I had my druthers (and an easily affordable way to time travel) Ariel would have had a narwhal friend named Mika instead of the very whiny Flounder. But not Sebastian, he can stay. It turns out that making fins is hard work. Mika II could totally hold his own against Voldemort. Get it? Because he's the unicorn of the Sea? Sigh. Fred actually has a wee little tail on him that is very hard to see, but looks spectacular in low light. 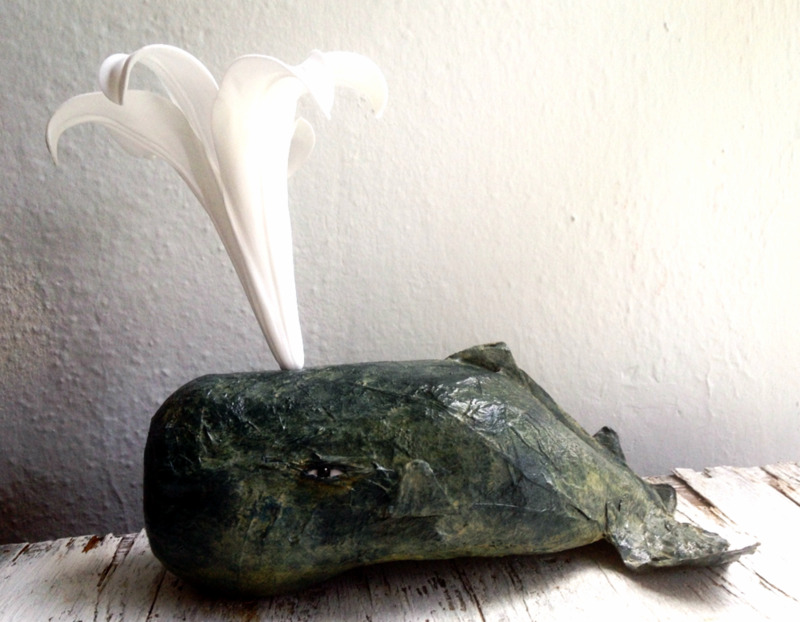 Enter Mika II and his fish friends, including a misunderstood humpback anglerfish. If you google humpback anglerfish, you will veritably encounter numerous images that will haunt your dreams as they now haunt mine. However, this one, whom I have named Fred, is quite sweet and has yet to bite me. I tried to keep this mobile relatively simple so it would work for a range of design styles and would even be a great grown-up mobile. Fish Friends that are way less annoying than Flounder. My apologies in advance to Flounder defenders. I also decided to make the not creatively named Moby the Sperm Whale Mobile that is not yet a mobile and a brimming with butterflies mobile that may wind up in the room of my very soon to be born niece, Oogledorff (she is due tomorrow, and that is the name I have chosen for her after I won a bet. Say what you will, she will be the only Oogledorff in her class). 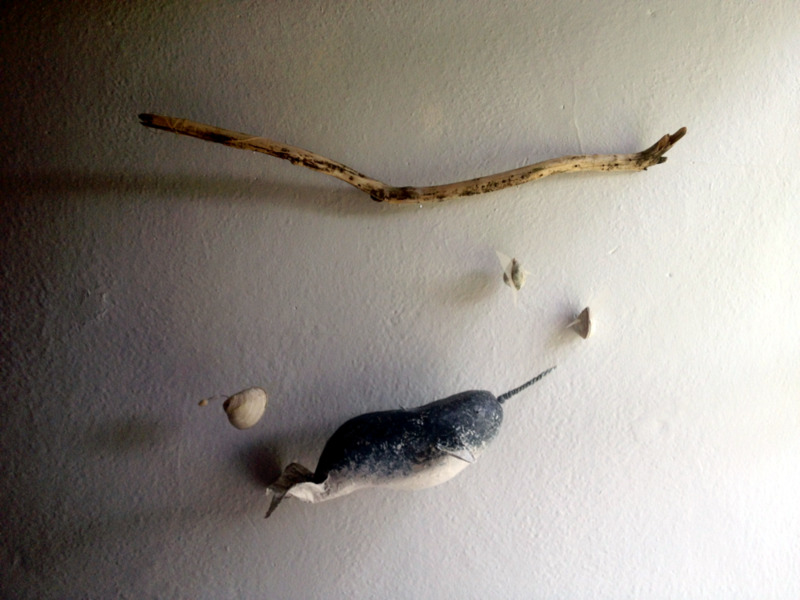 You can find my Narwhal Mobile on Etsy here. Enjoy! I have a habit of personifying inanimate objects. A beloved (and mischievous) Mermaid pinata named Princess Fan-Fan is an inside joke amongst friends, I once refused to throw out an old coconut named Poppi after drawing a face on him (however, the mold got to be too much to bear) and I have brought my fake green cat, Pancake, to entirely too many restaurants to ever be considered a proper lady. I'm thrilled to introduce my newest pet: a beloved creation of fabric, foam and branches: Flork the Stork. Soon to be appearing on an Etsy shop near you (hint: it's mine), I have come to terms with the fact that this girl will be given up for adoption, but it is still a tough cookie to swallow as she and I have grown quite attached.